We offer you a list of the most popular places for seminars paris 13th borough and around the city of Paris of the region Ile-de-France. If you want us to organize you for your seminar, please contact us. Contains a non-exhaustive selection of some of the most popular places of seminars, but you can make a more detailed and complete search for paris 13th borough directly from our Advanced Search page. 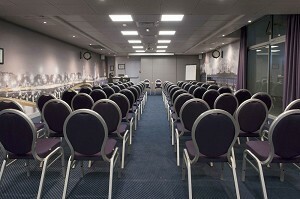 We can also arrange free to question the seminars places paris 13th borough with our service SOS EVENTS. The Best Western Premier Amiral Hotel 4 * welcomes your seminar in Paris within a framework combining charm, refinement and high tech. 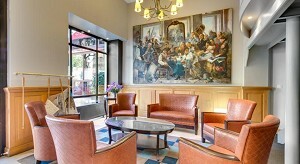 The Hotel is ideal for the organization of study days or residential seminars in Paris. Because of its proximity to the headquarters of international companies, and the great Parisian monuments, this 3 star hotel is the ideal place to organize a meeting in a hotel with meeting room Paris. 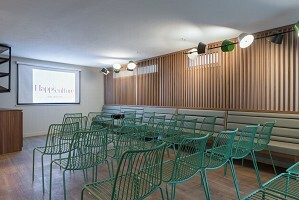 Located in the heart of the 13ème arrondissement, the Timhotel Paris Place d'Italie is completely renovated, it is the ideal place for the organization of your corporate events in the heart of Paris. 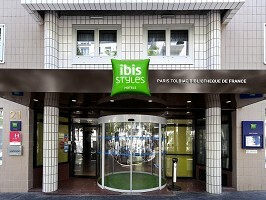 The stay of international centers of Paris, were created by the city of Paris to make it accessible to as many stays in Paris. The Quality Suites Bercy Library is a modern and comfortable apart-hotel that features 70 elegant studio-suites with a capacity of 1 to 4 people as well as a meeting room of 30m². This site hosts every year thousands of readers and visitors in its spaces. 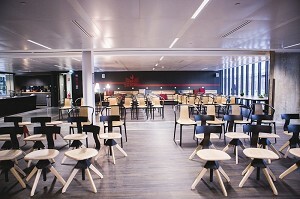 For meetings, the Mercure Paris Bercy Library has a fully renovated and equipped workshops with the latest technology, for up to 30 people. 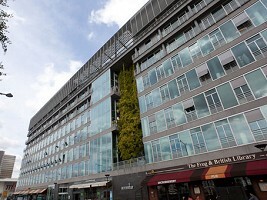 The center Paris National Library is a modern building in the new district of the Left Bank in Paris that has developed around the ultra modern French national library. 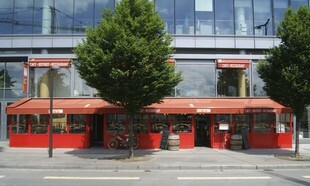 A few steps from the Place d'Italie, discover a design hotel. A haven of peace in the heart of Paris, landscaped garden, terrace and views of the Eiffel Tower, the hotel offers two meeting rooms. 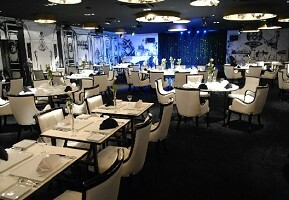 Located halfway between Bercy and Gare d'Austerlitz, Bistrot Quai and his boundless energy team will welcome you with attentive service during your dinners, lunches and private events. 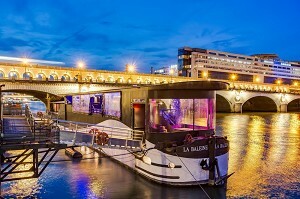 Just steps from the Latin Quarter, near the Gare de Lyon and Austerlitz, the Grand Hotel des Gobelins enjoys pleasant surroundings in a lively neighborhood. The decor of the restaurant is inspired by the city of St. Petersburg of the XIX century, original prints and bourgeois rajoutent a festive touch to the atmosphere of the restaurant. 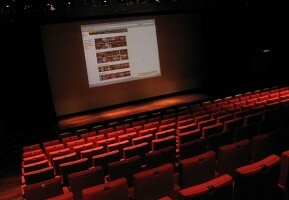 The surface of 300 square meters can accommodate up to 180 seats.